Canada. 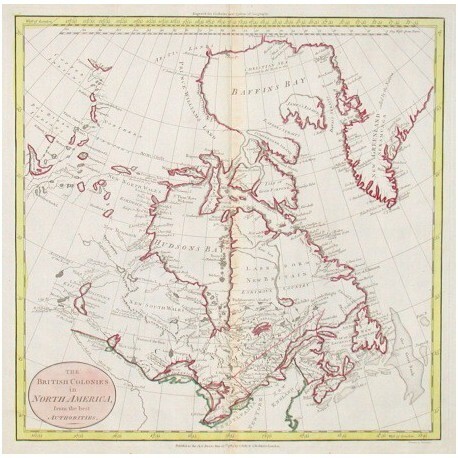 "The British Colonies in North America, from the best Authorities". Copper-engraving by W. Darton published by Dilly & Robinson, London, 1785. Cont. col. in outline. With oval cartouche. 33,5:34 cm (13.2:13.4 inch.). 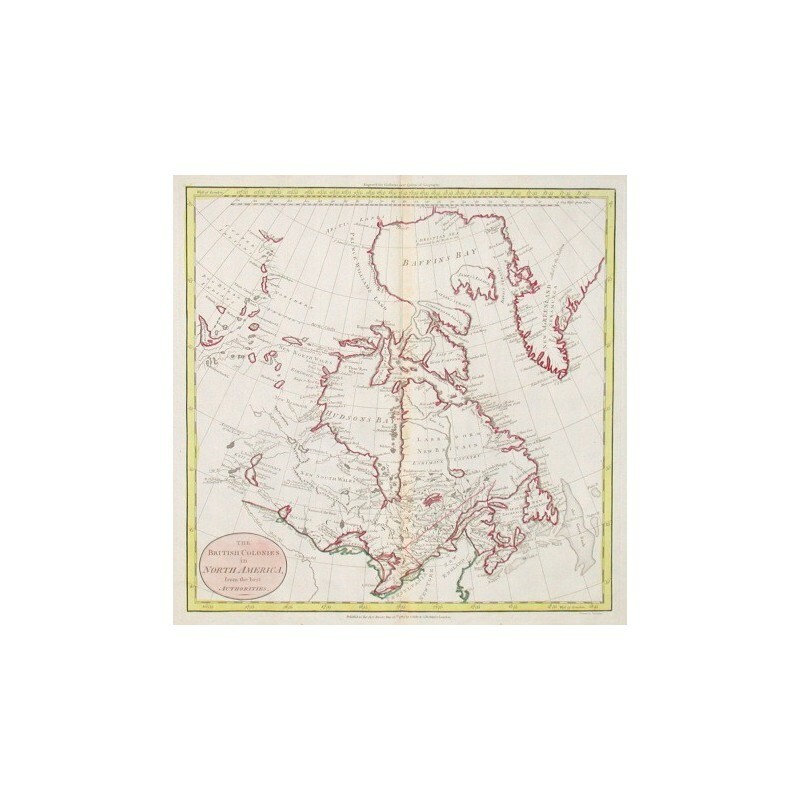 Author: Dilly, C. - Robinson, G.
Publisher: Dilly, C. - Robinson, G.
Map of the British colonies in Canada.